FOR IMMEDIATE RELEASE: INCITE Releases New Track "Stagnant" Plus More! On April 22, 2016, the wait will be over - INCITE will release their new album Oppressionvia Minus Head Records. Produced by Steve Evetts (Dillinger Escape Plan, Suicide Silence, Every Time I Die) at Omen Room Studios in Garden Grove, CA during the fall of 2015, Oppression promises to deliver a level of ferocity, groove, and darkened melody unlike ever before. The album will feature guest vocals from Connor Garrity of All Hail the Yetiand Jose Mangin of Sirius XM Liquid Metal. Vocalist Richie Cavalera states, "This new album is without a doubt the one we're most proud of - to date. It's the most organic and aggressive album in the bands career. Working with Steve Evetts was a life changing experience for all of us. We learned and tried things that we never would have before, and were really able to harness the raw live energy that you get from our shows. We added a lot of new guitar work - more complicated solos, effects, and not to mention the vocal sound and structure is on a whole new level. Oppression is the rebirth of good old classic American Metal." 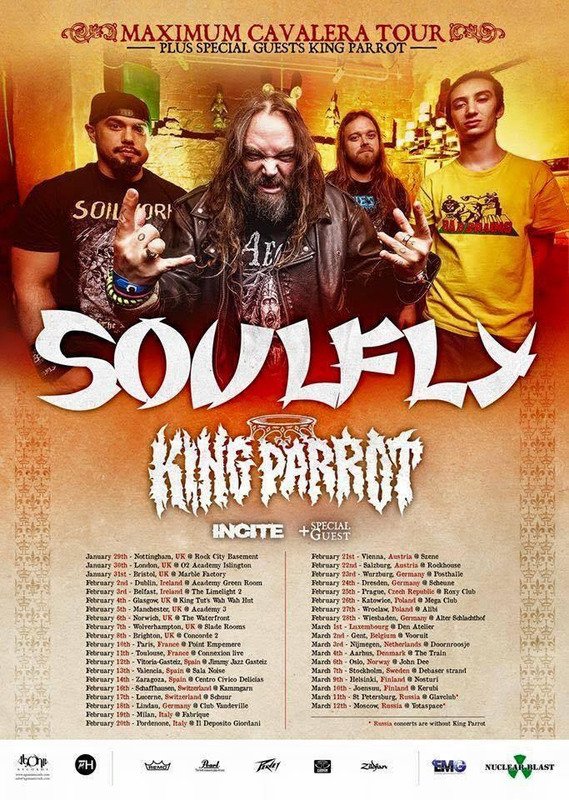 INCITE is about to embark on a 37-date European tour with Soulfly and King Parrot, kicking off this Friday, January 29th in Nottingham, UK. The first 17 dates of the tour will feature Lody Kong as special guest opener. Stay tuned for tracks, videos and more coming from INCITE soon! Over the years, INCITE has toured alongside the likes of Dillinger Escape Plan, Soulfly, Throwdown, Cavalera Conspiracy, 36 Crazyfists, Anaal Nathrakh and more. Moreover, they've been praised by everybody from Kerrang! and Revolver to ARTISTdirect. In addition,INCITE has reached Top-40-status on Sirius Metal Charts with tracks like 'Army of Darkness' and the Devil's Dozen on Liquid Metal with 'The Aftermath'. Revolver also named 2012's All Out War its "Album of the Week" upon release. 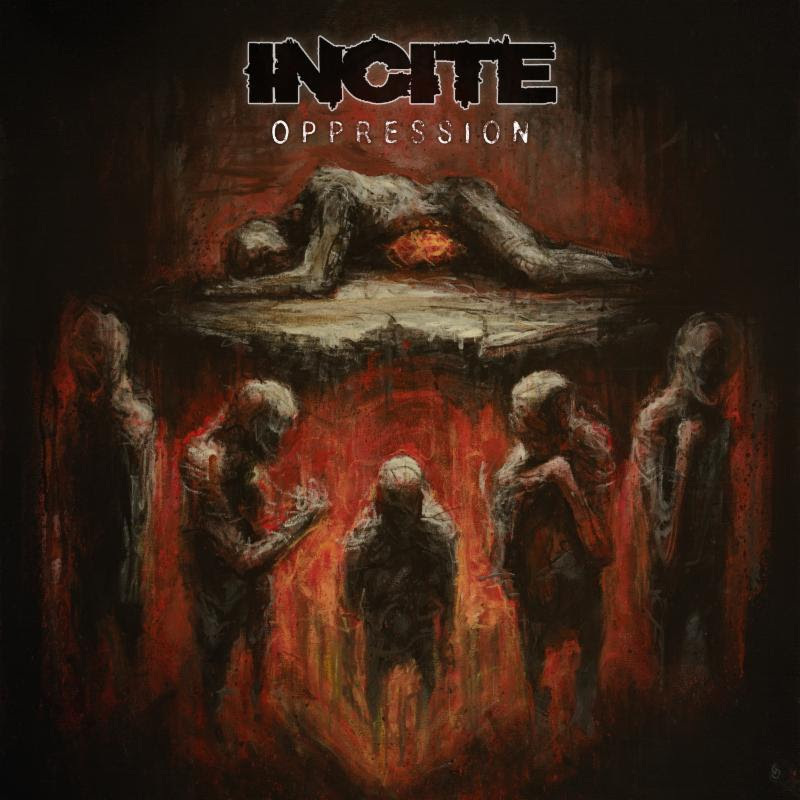 In 2014, INCITE released what many consider to be their breakout release, Up In Hell, which spawned several singles and music videos. Shortly after, the band released a re-issue of their first album, The Slaughter.You can order The Slaughter now via iTunes, Amazon, Spotify, and BandCamp, and Up In Hell, via iTunes or Amazon.